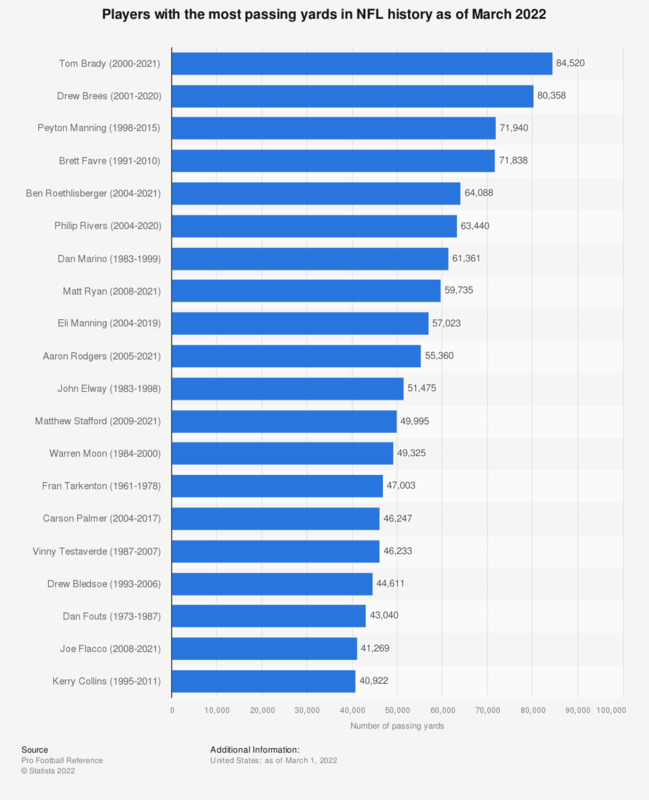 The statistic depicts the National Football League players with the most passing yards in the league's history (as of December 30th, 2018). Drew Brees passed for the most yards in NFL history with 74,437 passing yards during his career. U.S. population: How many packages of Kids Kitchen shelf-to-microwave oven dinners entrees and soups have you eaten in the last 30 days?